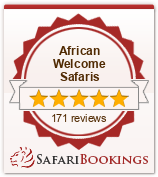 Why stay at Waterbuck Lodge ? Our latest addition to the Collection, Waterbuck Game Lodge is uniquely positioned adjacent to a water estuary in the Southern part of The Thornybush Nature Reserve, and provides extraordinary wildlife diversity within the confines of a closely located watering hole and abundant birdlife. Waterbuck is truly a “home from home” with centralised entertaining accommodation of warm and comfortable proportions, flanked by individually located bedroom Suites accessed through pathways a few yards from each other providing both privacy and security, individual views from Suites and bathrooms, generous dressing rooms en-suite for added comfort and convenience. Waterbuck Lodge, exquisitely positioned in the southern part of The Thornybush Nature Reserve boasts 4 air-conditioned luxury suites with magnificent views from both the generous sized bedroom and en-suite bathrooms. In between exciting dawn and dusk safaris in open Land Rovers, take time to relax and enjoy the central entertainment and dining area, flanked by an inviting swimming pool and bar area. Or you are invited to simply withdraw into the sounds of the African bush on the tanning deck or lazing by the swimming pool. The main deck area continues to provide a further comfortable watchpoint to the abundant wildlife whose home is the feature watering hole adjacent to the Lodge.